It’s the 17th-century witch-hunt story everybody knows, but what relevance does Arthur Miller’s play The Crucible have today? Acclaimed theatre director Adena Jacobs explains how she’s given the story a new setting in an upcoming production by the Victorian College of the Arts’ Production and Acting Company 2018. Hi Adena, you’re directing a 1953 play about events that took place more than 300 years ago. Do you think the story will resonate with modern audiences? Although the story is an old one, The Crucible is extremely relevant in a modern context. The people of Salem abide by a strict ideology, and they desire homogeneity. 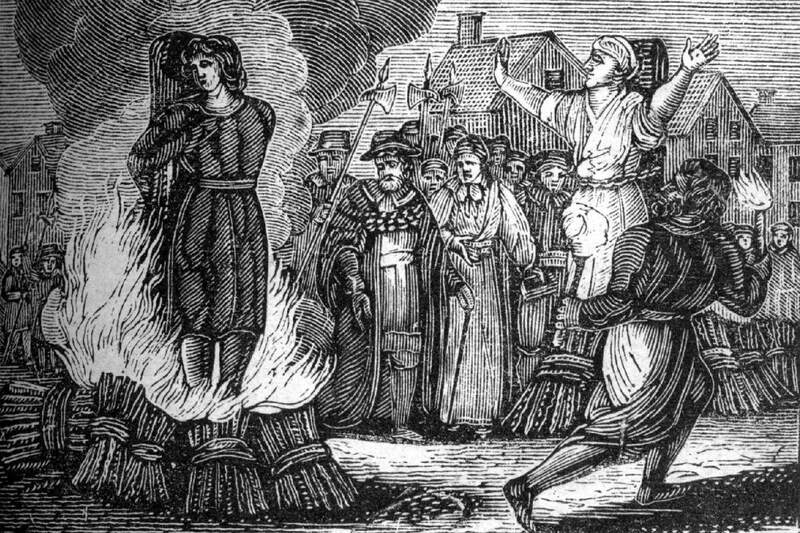 They aim to expel anything or anyone they deem as subversive or impure, which, within the context of the Salem witch trials, is typified by the “non-conventional” woman. The play explores a patriarchal society’s ongoing fear of the feminine, and its attempts to repress and deny feminine power through systematic persecution. Staging this piece today forces us to confront how this moment in history still lives on. It forces us to ask how this period in history could have occurred, and how it has embedded itself into our consciousness. What do you think the play says about women? What I always find thrilling about the young women in this piece is the ways in which they manage to disrupt the social order despite – or perhaps because of – the fear they’re experiencing. Although they’re discredited by the court, and ultimately feared by their community, they’re able to assert immense power and find ways to upend the system. 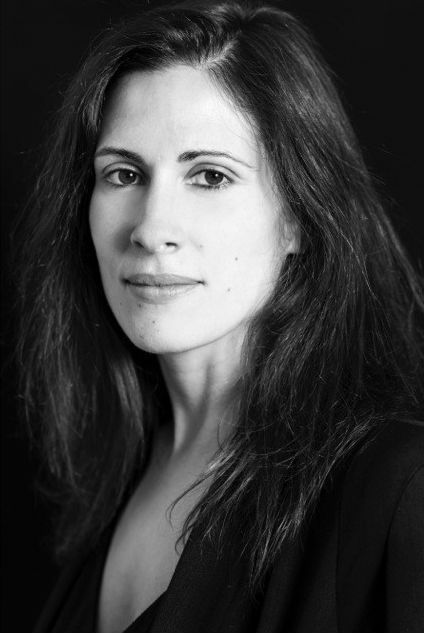 Theatre director Adena Jacobs. Photo by Pia Johnson. What’s the setting in this interpretation? The VCA production isn’t set in either 1692 or in 2018, but rather on a blank slate in which a community finds themselves. In this space there’s no outside, only inside: a world of hyper control and strict borders which decays and leaks and spills over. The Crucible is about a community plagued by fear and paranoia, where everyone becomes a potential victim or perpetrator. The boundaries which they’ve worked so hard to uphold collapse again and again. And so, as in Greek tragedy, it’s a space which demands sacrifice. Our production is an intimate one, set in the round. The ensemble of performers is on stage the whole time. We bear witness as they hunt for a scapegoat, name and shame, select who must be punished and who will be saved. They role-play, and find themselves under the spell of the text and inside an ecstatic ritual. I studied Creative Arts at the University of Melbourne, which incorporated Creative Writing, Visual Art, Cinema, Performance and Theory. There was an amazing community of artists doing this course at the time, many of whom I still collaborate with today. For us it was a time to experiment and play, and to move through various art forms. Without realising it, we were working in interdisciplinary ways – and I still feel that visual art, film and literature are the key influences for my work. In 2007 I started studying directing at the VCA. In my Masters year (2008) I directed a production of Sarah Kane’s Cleansed, which was designed by Eugyeene Teh, who was also doing his Masters at the time. This project felt like the beginning of an exploration which 10 years later is still going. In 2010, I established the independent theatre company Fraught Outfit. I have made work in both the independent sector and for main stage companies throughout Australia. Book of Exodus Part II, Fraught Outfit, presented at Theatre Works in 2017. Photo by Pia Johnson. What kind of stories are you drawn to? Over the past 10 years, my work has predominantly explored ideas around power, trauma, feminine rites of passage, language and silence via archetypal and classical myth. I have re-imagined texts such as Wizard of Oz, The Bacchae, and Antigone. I’ve been interested in the process of filtering these narratives through my own subjectivity, by queering and re-dreaming them. At the moment, I’m finding myself drawn to stories which imagine spaces and worlds beyond our own. You’ll be making your UK operatic directorial debut later this year with the English National Opera’s season of Salome. Can you tell us more about it? This project came about through ongoing conversations with the Artistic Director of the English National Opera, Daniel Kramer. He thought my work would be an exciting fit for the company and for Salome. I’ve directed two chamber operas with Sydney Chamber Opera (Giya Kancheli’s Exil and most recently The Howling Girls by Australian composer Damien Ricketson), and have worked closely with live music with my company Fraught Outfit. I’m always drawn to music in performance – both the space it creates for evocative imagery and the experience it generates for an audience. Salome is my first main stage opera and it’s larger in scale than any of these previous works, which is very exciting and challenging. One of the main challenges has been to find a frame for the piece which is highly contemporary, and yet which retains the opera’s inherent ambiguity and mystery. I’ve been working on it for a number of years, so I’m looking forward to the moment when all of the elements finally come together – the performances, the design and the full orchestra. 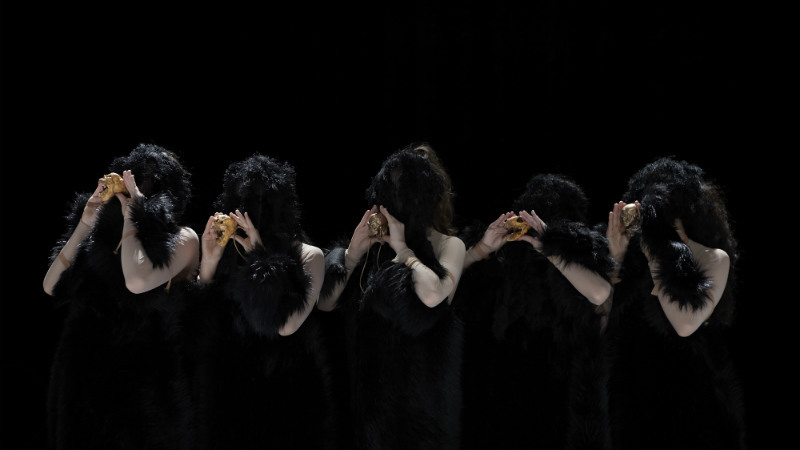 The Howling Girls, Sydney Chamber Opera, directed by Adena Jacobs and presented at Carriageworks, Sydney. Photo by Zan Wimberly. Is there a particular philosophy or piece of advice that’s stood you in good stead over the course of your career so far? The best piece of advice I can give is to follow your instincts. Don’t wait for someone else to give you the permission or the opportunity to make your work, or for the ‘perfect’ circumstances. Banner image: A witch trial. Flickr CC. Adena Jacobs is a VCA Theatre alumna. The Crucible will be presented by VCA Production and Acting Company 2018 from 7–13 June. More information. Find out more about Production at the Victorian College of the Arts.